Whenever Sara Petite sings, she sounds like a real girl. That may sound like a, 'Well, no duh!' remark, but with so many contemporary country divas playing the Miss Perfect part to, well, perfection, it's getting harder and harder to find many real girl country singers anymore. That makes Petite a delightful exception to the rule. Whether she's joking about resorting to riding an elephant to get away from a bad relationship, as Petite does during Movin' On, -- no, not the Hank Snow song - or having a relational allergic reaction to 'the other woman's' perfume during Perfume, Petite always sings in a ragged-but-right and oh-so-sincere gal's voice. She comes of especially smart when she's angry, which is most apparent during the latter day outlaw country of The Master, which brings Waylon, Willie and the gang to mind - even better than Gretchen Wilson. It has that assertive rhythmic thump-thumb of Jennings' sonic signature, along with a melodic nod to Nelson's On the Road Again, giving it the best of both worlds. Lyrically, this 'master' is only the king of doing girls wrong. Petite is just as appealing when she sings about the truism of If Mamma Ain't Happy (the latter part of that phrase is, "Ain't nobody happy.") She can seemingly do no wrong, no matter what voice approach she takes. We haven't had a down home country singer/songwriter this good since Iris Dement. Think of Dement, only a whole lot more fun, and you'll get a good picture of the joy that is Sara Petite's "Circus Comes to Town." LIFE HAS RESEMBLED SOMETHING OF A ROLLERCOASTER RIDE FOR SAN DIEGO’S SARA PETITE IN RECENT TIMES DUE TO PERSONAL TRAGEDY BUT ALSO FOR THE UNVEILING OF RECENT ALBUM ‘CIRCUS COMES TO TOWN’ THAT IS QUITE SIMPLY A STUNNING PIECE OF WORK. It is not too often a bona fide country artist from the United States sets foot in the UK due to various reasons concerning the British palate ranging from a lack of interest in all things associated with Western attire – the customary cowboy boots spring to mind here – to others of a more fiscal nature. So when news of San Diego’s Sara Petite announced a whistle-stop tour of the British Isles, FLW seized the opportunity to meet ‘n’ greet the country starlet whose recent new long player, ‘Circus Comes To Town’ has been burning a considerable hole in the FLW player over the past few months. With this in mind, the obvious starting point for this eagerly awaited discussion was the ideas and inspirations that led to the wondrous set of songs making up ‘Circus Comes To Town’. This opening statement is definitely indicative of the stories woven in the tapestry of ‘Circus Comes To Town’ as songs reflect a deeply personal tragedy experienced by Sara Petite leading up to, and during the album’s completion. The loss of her nearest and dearest partner was a knockout blow, and one she is undoubtedly still smarting from, as the person in question is often referred to throughout the discussion but also in honour of his overall contribution musically. ‘Circus Comes To Town’, therefore, comes as a great testament to the characteristics of Sara Petite, as the San Diego songstress managed to ride out incredibly choppy waters when everything appeared to be diminishing around her; something of which the album’s title alludes to, along with the slapstick pretence of the circus imagery. Without question, ‘Drinkin’ To Remember’ is a lament to those tragic memories and one in which Sara Petite sings with heart firmly planted on her country sleeve. Despite a profound sadness engrained in a number of the songs, what seems evident from the off, however, is the sense of energy bursting forth in a real steely show of force as evidenced by the Springsteen-esque and in no plain terms issued warnings of ‘Perfume’, to literally giving the feeling of the open highway and wheels in motion of ‘Movin’ On’. This, however, is part of the charm of ‘Circus Comes To Town’ as Sara Petite manages to shift facades between songs with relative ease and in the process reveal a considerable amount of humour that receives a tip of the hat in terms of acknowledgement from FLW for the genius that is ‘If Mamma Ain’t Happy’, and the barnstorming ‘Scarlet Letter’ with its “harmonies like bluegrass but rocked up like Jason & the Scorchers” as described by Petite herself. With everything gone before her, Sara Petite has every reason to feel more than a little enamoured with this overall body of work. The condition of not being totally satisfied with any artistic endeavour is not simply reserved to artists themselves, as on more than one occasion many a music purist has reserved judgement on what they deem to be country music in this instance. Fortunately, such attitudes have not pervaded the creativity of the songwriting process when it comes to Sara Petite and her acoustic guitar, due to vocally demonstrating from her first tentative steps that there really is only one way, and that is the Sara Petite way. Pursuing her own path in the massively popular country scene of America, trying to establish yourself as a credible artist can be a bit of minefield not only due to the previously mentioned purist attitudes but also due to the level of competition, not to mention the vastness of the American environment when it comes to the live circuit in order to get your message across. Fortunately, such uphill struggles has not fazed Sara Petite as this singer remains headstrong in her quest to bring her brand of countrified tunes to the masses. This self-determination also stems from clocking up many hours working nine to five in various different occupations, with the final decision coming when Petite was relived from her duties as Operations Manager, which led to a decision to enter the musical circus full time. Being raised in Seattle has also played its part on this musical quest in the sense of the cross-pollination of musical genres, as Seattle is not exactly renowned for its country music but more well-known for its grunge music. Thankfully, Sara has the explanation for this little conundrum in terms of her love for all things country. Was your mother a big influence in terms of your interest in country music considering your comment regarding country music being a permanent fixture on the radio? “My mother used to bring home country tapes from the library but she also had the soundtrack to the Loretta Lynn movie ‘Coal Miner’s Daughter’. My twin sister and I used to learn every single song on that soundtrack and people would come over and we would get on the coffee table and sing just for fun. We used to mimic her and I didn’t realise that I was doing this because I have an east Kentucky accent when I sing. More notably, the unwavering self-belief that Sara Petite rightfully possesses also derives from an unusual family background that involved certain family members inviting goats, chickens and bears as household guests! Therefore, such eccentricities have gladly seeped into her songwriting (‘If Mama Ain’t Happy’) and more than made her comfortable when it comes to making decisions regarding which direction to take musically. With such eccentricities in mind, there are also more standard influences infiltrating the ideas and songs of Sara Petite which, once more, reveals a broad palette musically. Would you therefore describe your sound as being at the less commercial end of the country music scene? Can you please elaborate further in terms of what you mean by the country scene in east Nashville? With ‘Circus Comes To Town’ gathering further momentum not only in terms of critical recognition but also wining over the hearts and minds of many country aficionados, as well as the indie kids (Yes, there are a few converts, FLW), are there plans for Sara Petite and her trusty guitar to head back into the recording studio soon so that we can experience more fascinating tales of chickens and bears residing side-by-side with their new found owners? Sara Petite’s ‘Circus Comes To Town’ is out now on Sweet P Records. There is no medical evidence to prove that Lucinda Williams, Nanci Griffith and Carrie Rodriguez somehow joined forces to mother a fully grown musician daughter. But if they did, with Loretta Lynn and Roseanne Cash serving as musical midwives, San Diego singer-songwriter Sara Petite would be the likely outcome. At the rate she’s evolved over the past seven years, Petite could one day be their peer. She’s already good enough that they would surely welcome her as a very promising protégé. Now, with her fourth and newest album, “Circus Comes to Town,” this 2003 USIU political science and international relations graduate has produced the most accomplished and emotionally moving work of her career. That’s the good news for Petite, who performs an all-star album release concert Saturday at the Belly Up. “In a lot of ways, it’s been really healing to write these songs. But, sometimes, it’s been really difficult,” said Petite, who cut the album in Nashville for her own Sweet Pea Records (sarapetite.com). On the twangy, but wrenching, “Drinking to Remember,” she sings: Round every corner, I still search for you / But haven’t found you yet / I ain’t drinking to remember / I’m drinking to forget. The suitably moody ballad “Forever Blue,” finds her lamenting, with a quiver in her voice: I’m out here standing, all alone / If I had God’s number, I’d pick up the phone / I’d ask him: Did my angel make it home? / Forever blue / Forever blue. Petite wrote the album’s stately title song while Kuhlken was still alive. But its lyrics anticipate a looming void, with such telling lines as Lookie here, I’ve come down with the blues and Didn’t know I would fall like that.
" 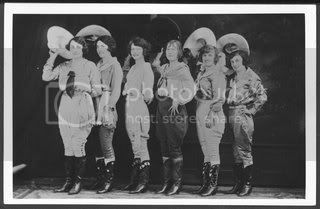 'Circus Comes to Town' is a really sad song," said Petite's twin sister, Jenny, who shot all the photos for the accompanying CD booklet and will be a guest vocalist on a few songs at Saturday's Belly Up concert. "Some people end up crying when they hear it." Perhaps most moving of all is “Ashes,” the album’s melancholic closer. On it, Petite makes Kuhlken the singer, so to speak, by putting his thoughts into the lyrics: Spread my ashes in the desert, scatter some at sea / Keep a little for yourself, a little piece of me. As a fan of Sara Petite’s previous album Doghouse Rose I was hoping for more in a similar vein and that’s exactly what her new album Circus Comes to Town delivers, her wonderful and distinct twangy vocal is perfectly suited to the contemporary Americana influenced country that echoes the artistic stylings Loretta & Dolly and shares it’s musical DNA with the likes of Holly Williams and Ashley Monroe. A native of Sumner, Washington Sara is now based out of San Diego where she’s a regular on the live music scene performing with backing band The Sugar Daddies who tragically lost one of their number, Sara’s ‘rock’ and fiancé John Kuhlken who died of a rare blood disease in 2011 (Sara Petite – Rides Again), Circus Comes to town is Sara’s fourth album and she enlisted her fans support through Kickstarter to get the recording out to the wider world. It’s at times delightfully sweet at others heartbreakingly beautiful and ably walks the line between the two with some honky-tonk moments woven into the mix too – highly recommended. Petite’s CD release party will be happening at the Belly Up Tavern in Solana Beach on Saturday, January 12th, a matinee affair, commencing at 3 p.m. The Circus Comes to Town disc was recorded in Nashville, at the same locale as her third offering, Doghouse Rose, at Insomnia Studio, with Eddie Gore at the recording helm and handling production duties for both discs. Gore discovered Petite through his friend, Melanie Howard, who is the widow of legendary country music songwriter, Harlan Howard. Both albums are aptly augmented by a slew of Nashville A-list studio players, elevating the overall quality, especially in the final mix, beyond her first two local recordings. “I’d rather be using my own band exclusively, as we are a family, and have been through lots of ups and downs together, as well as driving each other nuts sometimes, but this was a great opportunity, so why not,” she proclaimed. In seven short years, since seriously beginning a full-time pursuit of a musical career, the prophetic words of her father still ring true in that “Sara’s always gonna do what she’s gonna do,” as she has lived a few lifetimes, encompassing the joys of playing in a band, writing and performing her own tunes, traveling around the globe, meeting new people and making new friends at every turn, recording at a top-notch studio in Nashville, opening shows for iconic songwriters, along with being recognized locally and nationally as an award-winning songwriter in the Americana music category, albeit mixed in with the rigors of the music business and having to cope with the deep personal loss of her papa bear, Johnny. In the end, however, her indomitable will to succeed and positive attitude pushes forward, as she cherishes the beauty in the world and the people around her. Don’t miss Sara Petite’s CD release, Circus Comes to Town, with special guests Lisa Sanders and Eve Selis. Saturday, January 12 at the Belly Up Tavern in Solana Beach, 3:30pm. Wayne Riker is a freelance writer, guitar teacher, instructional book author, and columnist for Guitar Player magazine. Outlaw country singer - songwriter, Sara Petite crafts songs that hold an edgy yet tender, thoughtful quality – a flowing humanism -- some quirky twists and turns – and then, at times, she transports you to the depths of her (and your) soul. She also finds room in her repertoire for traditional country, bluegrass and rock ‘n’ roll. Sara Petite's website bio states that she learned to sing country music in her hometown of Summer, Washington by listening to Dolly Parton and Loretta Lynn. Singing along with her sister, they would perform for family and friends, mimicking the vocal inflections of their idols, Parton and Lynn. “I wear my heart on my sleeve, which sometimes leaves you vulnerable,” Petite emphasizes. Transplanted to San Diego from a rural tulip farming town in Washington – and influenced by artists as diverse as Loretta Lynn and June Carter to Bruce Springsteen and John Mellencamp -- Sara Petite has toured the West Coast, Southeast and Europe, and she's now traveling throughout the U.S.
She's opened for such musical icons as Ralph Stanley, Marty Stuart, Todd Snider and Dave Alvin. Her previous releases were Doghouse Rose, Lead the Parade and Tiger Mountain. San Diego-based Sara Petite has been at this country music business for a few years now. This is her fourth album in the last seven years or so, and it pretty much reprises the mixture of material she came up with for Doghouse Rose, her most recent album before this. A fine selection of brassily rocking country numbers are balanced by quieter, heart-on-her-sleeve songs. Her songwriting reflects the material of her early heroes, Dolly Parton and Loretta Lynn. Like them she can make a song that has its roots in real life acquire the kind of gloss that will communicate itself across the airwaves. One of these days, one of her songs will like as not hit paydirt – it’s a random, unpredictable process, but she stands as good a chance as anyone. Though not an imitation of an earlier sound, several of these songs seem to hark back in style to classic country music of forty years ago; she opens the show with a cheating song, Perfume, which focuses on the small detail that triggers the big issue, the heartbreak of a good love gone bad. In this case, her man is admitting nothing but she can smell the other woman’s perfume and “I can’t stand the smell of her perfume”. This could be an excuse for some maudlin lachrymosity, but the band is going full tilt for this one and Sara’s vocal implies she will survive – no room for a soft heart in this sort of world and that electric guitar is all hard-edged shiny bright notes. Her heart might be bruised but she’s partying hard in the direction of tomorrow. There are more songs like this; there’s a bit of rockabilly about the brash, driving pop country of Movin’ On and some swaggering twang to The Master – slight twists to the style but always fun and always lifted out of the routine by the strength of personality that Sara brings to her singing. She sounds genuine, and genuinely enthusiastic to be doing what she does. She gives it everything and that counts for a lot. For me, though, it’s the slower songs that really hit home. The title track, in particular, is really affecting - I love the tone of sad regret, and the catch in her voice. You might be conscious that she’s delivering a performance, a stage persona, but, like Dolly Parton, you can’t help but warm to the exuberant enthusiasm she brings to her art. 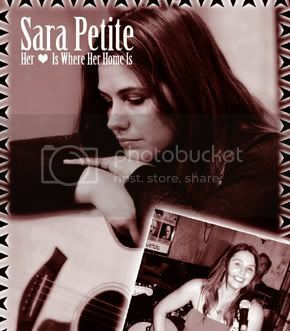 Certainly for me, there will always be a corner of my heart open to Sara Petite’s music. 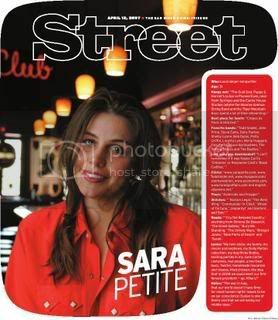 With a vocal style which aches country, Sara Petite is not a singer out to appease the middle ground. Having fallen straight for her voice when first hearing Bob Harris play material from DOGHOUSE ROSE a while ago, this was an artist that could do no wrong in my book. That 2010 album and its two predecessors were quickly acquired and, after a brief lull, it is great to re-acquaint with her music through this follow up release. CIRCUS COMES TO THE TOWN is very much in a similar mould to the previous records with a clutch of rip roaring numbers interspersing a gentler roots sound, all characterised by that unmistakeable voice wrapping itself around genuine country songs. Geographically and commercially, San Diego based Sara is a great many country miles away from the centre of the industry in Nashville, Tennessee but this need not detract from the authenticity of the sound emanating from her band. However with the current sea change of a more traditional style from female performers, you never know the call may come but in the meantime Sara isn’t going to spend any time worrying, just plying her trade relentlessly on the west coast and the frequent UK visits. Unfortunately these trips do seem a little low key at present but not without hope that someone may pick up on the talent and increase her awareness in the UK. Weighing in with thirteen tracks just shy of forty minutes long, the album immediately gets into its stride with a classic cheating song, hitting all the right notes lyrically and musically. The pace of this opener ‘Perfume’ is ramped up with the following number, the country rockin’ ‘Movin’ On’ which metaphorically conveys the message that an artists’ lot is to never stand still. With all but one of the tracks a solo Sara Petite write, her lyrical brilliance is highlighted in the third number ‘Barbwire’ , incidentally the album’s only co-write, with the unforgettable line ‘she’s got barbwire around her heart’. Only in country music could such explicit imagery capture the message of a song. The thoughtful title track ‘Circus Comes to Town’ shows the more tender side to Sara’s style and aligns a number of life issues to aspects of a circus. No country album would be complete without the ubiquitous drinking song and Sara truly delivers a heartfelt account of turning to the bottle to alleviate your problems. Although the title of the song, ‘Drinkin’ to Remember’, slightly misleads its message of drinking to forget. The up tempo guitar riffs that accompanied much of her earlier material return with a lyrical tirade against the subject of ‘The Master’. The retro feeling number ‘If Mamma Ain’t Happy’ is launched with a backbeat-supported intro before developing into a foot stomping rousing tune with a sing along gratifying chorus. The band sparkles on ‘Scarlett Letter’ with some great guitar work accompanying yet another melodic chorus with seems to be Sara’s forte. While ‘Forever Blue’ shows the sombre side of her writing but still managing to retain a memorable haunting chorus, ‘Someday I’m Gonna Fly’ is the perfect feel good response and breathes an air of optimism to the album’s final tracks. A common trait of a lot of country records is to have an appropriate closing number that has an element of finality to it. ‘Ashes’ fits the model perfectly for this album and concludes a record which will embed a fulfilling memory in your mind. There may be a touch of sass and an acquired taste to her style but make no mistake Sara Petite is a very fine country artist and deserves a greater profile. CIRCUS COMES TO TOWN is a welcome addition to her back catalogue and will do her career prospects no harm. 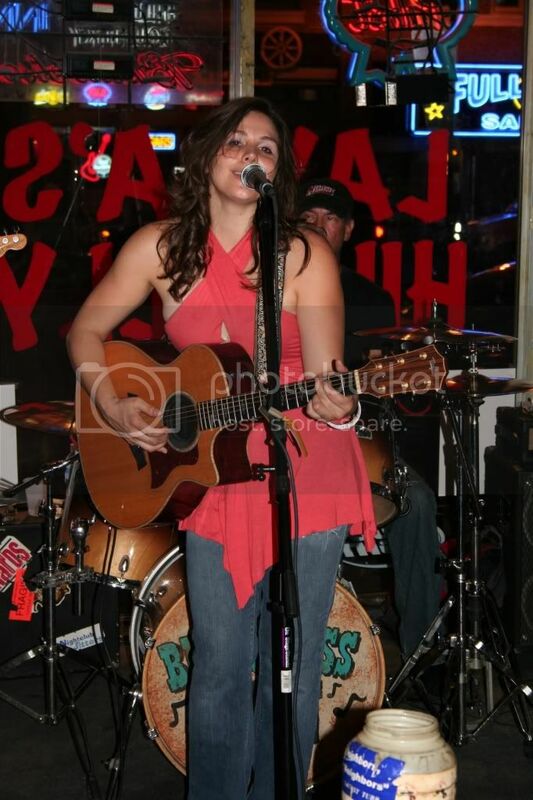 The first time I saw Sara Petite and the Sugar Daddies they were opening for Shooter Jennings. I was more impressed with Sara's performance than Shooters. This time she was opening , for Dave Alvin and the Guilty Women. Both shows were at the Belly Up, and both times I left smiling. The Sugar Daddies are lead guitarist Rick Wilkins, Wade Maurer on bass, John Kuhlken on drums, and Steve Peavey on guitars/mandolin. Sara Petite makes her home in San Diego and has grown quite a following, not just locally but worldwide. With the release of her new CD Doghouse Rose, she hopes to expand on the notoriety she earned with her first two independent CDs Tiger Mountain and Lead the Parade. Sara Petite's website bio states that she learned to sing country music in her hometown of Summer, Washington by listening to Dolly Parton and Loretta Lynn. Singing along with her sister, they would perform for family and friends, mimicking the vocal inflections of their idols, Parton and Lynn, and it's evident in her style. But it's not just her voice, or her award-winning songwriting, or her band. It's the whole package. And on top of that, you can just tell how much fun she is having performing from the moment she hits the stage (Crazy) to the final note of the final song (Promiseland). Her smile is infectious. Just looking around, everyone in the crowd is doing something. Some dancing, some nodding their heads with the music, some singing along, but everyone is smiling. She has that effect. Every song tells a story, and she shares many of them in between songs. Like the bluegrass ditty Little House, which she tells the inspiration she drew from her visit to Paris, and the small accommodations she shared while there. Bootleggers tells of running moonshine with her sister on Tiger Mountain, which is not only the title of her first CD, but also the emotional home of her family in Washington state. It won't be long before Sara Petite is the headliner, and another up-and-coming artist will be able to say "Remember when we opened for Sara Petite?". Which spot on the map gets the nod when the term 'mountain music' pops up? You can probably trace Garden of Eden style first steps to somewhere in the Appalachians. Over time, the term and the sound land on the who is playing and not the where. 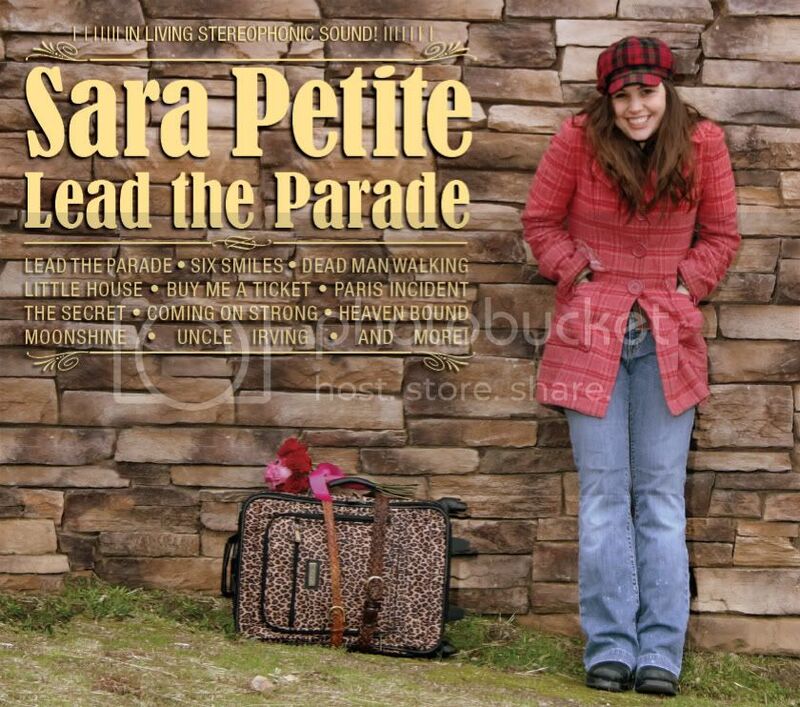 Hearing Sara Petite could easily make you think she grew up down a dusty road near Butcher Holler. She called the Northwest home and Loretta came callin' in stereo speakers, not through the back gate. Sara and her twin sister fell in love with Loretta Lynn via the movie 'Coal Miner's Daughter'. Mom would get albums from the library and the young girls would perform for friends and family. She picked up not only voice inflections but a love of country music. On her third album, 'Doghouse Rose', the twang meets the punch. A rock edge anchors the rhythms as bent and distorted riffs playfully float by while Sara's voices pushes through the tracks like a freight train barreling out of the Smokies. The title track brings the gift of warm harmonies and soft organ chords as much as the narrators outstretched hands offer up their doghouse rose. Ragged and raging beats allow tales of a last night on earth ("Promised Land"), getting out ("She's Gonna Fly"), giving in ("Baby Let Me") and how a girl makes a buck ("Bootlegger") move. Whenever Sara's voice comes in, it takes the spotlight. Rather than compete, producer Eddie Gore allows the instrumentation to be flashy without being pushy.Sara is not just a voice, however. The power of a vocal alone cannot drive a song enough to bring the listener back again. There needs to be that grab, songs that bring a smile, make you think or take you back to a real or imagined past. There is a joy in words and her characters on songs like "Crazy" and "Souvenirs" while an inside battle of conflicting emotions crackles the air on "Shouldn't be Doing This" and "Take What I Can Get". Whether it is the infectious draw of "Magnolia" or the mirror reflection in "Beautiful Thing", Sara's words share her feelings as much as match up with those of others. The stories are familiar, we have all either been there, wanted to be there or are on our way there. The singer/songwriter joined The Alternate Root in Nashville along with mandolin player Steve Peavey for an acoustic set for Alternate Root TV. We've pulled together a video of 'Bootleggers' from that memorable session along with some selections from her latest album 'Doghouse Rose.' Enjoy the music and video in the player below and support independent musicians! Sara Petite duly arrived with her superb band of Rick Wilkins on electric guitar and backing vocals, Wade Maurer on bass and John Kuhlken on drums. Sara has a hugely appealing, self-deprecating personality that matches her heart-on-sleeve, tell it like it is descriptive songs. The weighting at this gig was naturally on the side of her new album, DOGHOUSE ROSE, which is currently in perpetual motion on my c.d player! Her voice is reminiscent of Carrie Rodriguez or Nanci Griffith with its lovely twang and ability to wrest every last drop of emotion out of every word. The big difference is that many of her songs are confessional and in some cases are about subjects that can be a little edgy. Without exception they draw you into the real life tales, almost enabling you to feel and certainly to sympathise with what the song's subject must be feeling. An excellent example is The Secret, a tale of illicit love that no young female would want her mother to know about, although Sara's obviously does now! Dead Man Walking can sound quite harrowing with its imagery of a violent end to life and with its big sound giving it an almost epic feel of hopelessness; a classic in waiting? Imagery is probably what makes her stand so far out from the crowd, with her songs painting pictures and emotions that very few can match. There is considerable humour as well, with her between songs patter making her seem more like 'the girl next door' who is telling stories to her close friends. Every song was a highlight, be it the put down of Doghouse Rose, the self-explanatory Moonshine or the beautiful heart rending tribute to her grandfather Flying In Our Dreams. Sara is an incredibly gifted artist Who defines what country music should be. No frills, no gloss, great songs. great singing and great playing. One of the best gigs of this century so far. Stellar line-up, extraordinary talent and award-winning singer-songwriter... can't get better than this for a bluegrass/country-rock album! March sped by and we even though missed the bulk of the SXSW craziness between traveling and (real, bill-paying) work, we have hardly had time to listen to the submissions from our friends at ReviewShine. When the month started, we had downloaded a bunch of records but only one caught our ear this month and that one ended up in continuous rotation on the alt512 iPhone. The record we're pumping this month is Sara Petite's Doghouse Rose. Sara Petite's voice is classic country. The songs themselves, all written by Petite except for one co-write and a Harlan Howard cover, remind us of the best of the best stuff that Chip Taylor wrote for his collaborations with Carrie Rodriguez a few years back. But it's more than that. The songs themselves run the gamut from bluegrass ("Bootleggers") to singer/songwriter ("Souvenirs", not the Prine/Goodman song) to straight country/honky-tonk ("Doghouse Rose", "Baby Let Me In") and even a little pop. After the first few listens something really struck us: that this sounded like a Nashville record. Of course, we're not the biggest Nashville fans but what we came to find after a few more listens was that these songs, the things that can make or break a record before it's even recorded, were SPECTACULAR, regardless of the arrangement and Nashville-y production. Like the Tim Harwill record we latched onto back in January, we're definitely going to be buying the rest of the Sara Petite catalog as soon as humanly or digitally possible. We cannot recommend this record strongly enough. Sunday, February 14, 2010 at 12:03 a.m.
Getting laid off in 2006 from her position as an operations manager for a San Diego technology company was an undisguised blessing for Sara Petite. “It was the best thing that could have happened to me,” said the San Diego singer-songwriter, whose debut album, “Tiger Mountain,” was released only two months before her day job came to an abrupt but ultimately well-timed end. Making music full time has enabled this Washington farm-town native to maintain her sanity by thriving artistically, and vice versa. Whether performing country, rock, bluegrass, folk, old-time mountain ballads or any other style now lumped under the catchall Americana music umbrella, Petite sings and writes with an earthy charm that is free of frills and affectation. She recorded the album in Nashville at Insomnia Studio, which is co-owned by former Booker T. & The MG’s guitar great Steve Cropper. It was produced by Cropper’s Insomnia partner, Eddie Gore, whose résumé includes working with Cropper, Steve Winwood and ex-Rascals singer-keyboardist Felix Cavaliere. Gore hails Petite as “a female Steve Earle — she’s that good.” He believes that with major distribution for the album and a nationally established concert booking agent, “Doghouse Rose” could duplicate the Grammy-winning success of “Van Lear Rose” the wonderfully rootsy 2004 Loretta Lynn album that was produced by the White Stripes’ Jack White. By coincidence, Petite’s first musical epiphany came at age 4 when her mother began playing her albums by Lynn, followed by Dolly Parton and Buddy Holly. But it wasn’t until she was attending USIU in 2001 that this former child pianist began playing guitar. Petite, then a Hillcrest resident, wrote her first song, the self-empowering “She’s a Woman,” soon thereafter. It was inspired by a spirited argument she engaged in with the manager of the Encinitas bistro she worked in at the time. “I wrote it on the way home, just made it up, and then I thought ‘Oh, I’m a songwriter,’ ” Petite said. Shy by nature but also a self-described “goofball,” Petite has made her living as a musician for the past four years. She leads two bands, the all-acoustic Tiger Mountain Boys and the twangy, country-rocking Sugar Daddies. Her performance tomorrow night ﻿at the Belly Up Tavern’s “Hearts for Haiti” benefit concert will be without either band, just her, a microphone and her guitar. In April, Petite embarks on her fourth concert tour of Ireland, followed by her first shows in England. When not on the road, she works one night a week as a bartender at the Ould Sod in Normal Heights, a venue she has also performed in numerous times and cites as an ideal location to obtain songwriting inspiration through quiet observation. She is so comfortable in this intimate setting, whether working behind the bar or on stage, that she regards the Ould Sod’s owners, staff and some of its regulars as a second family. In any setting, though, the opportunity to perform her heartfelt songs can result in catharsis, for her if not her audience. “I don’t think most people realize how much work you have to do before you get to the show. But once I get to the show and get to play with my band, it’s kind of a release,” Petite said. The opening track from Sara Petite’s third album will grab your ears if for nothing else than the phased guitar sound that recalls the soul of Waylon Jennings’ “Are Your Sure Hank Done it This Way?” Petite sings with the girlish lilt and firecracker energy of Rosie Flores, and her crack band (which includes studio hotshot guitarist Kenny Vaughn, bassist Dave Rorick and drummer William Ellis) adds instrumental nuances that really give the productions something extra. Petite’s voice is twangy, perhaps too country for Country, and there’s a lot of rock ‘n’ roll punch in the band’s playing. The slap-back echo of “Baby Let Me In” adds a vintage twist to Petite’s voice, but Vaughn’s guitar is tougher and the rhythm more overpowering than straight rockabilly or honky-tonk. Petite’s a gifted singer with a lot of texture in her voice, a bit like Texas singer Kimmie Rhodes. She sings the album’s title track with a parched tone that seeks acceptance, and infuses desperate longing into a cover of Harlan Howard’s “He Called Me Baby.” Her band is right there with her, laying back or charging hard ahead as befits each song. The electric guitars provide sympathetic vamps for the sadder tunes and prod Petite to stand up when she’s fallen down. Sasha Ostrovsky’s dobro adds stringy twang throughout, and the rhythm section really adds muscle to the up-tempo numbers. Petite wrote all but one of these songs, and her lyrics have a conversational easiness that makes her stories, observations, realizations and confessions feel intimate. Right off the bat, let it be known that there isn't one dog in the pack on Sara Petite's new CD Dog House Rose. Dog House Rose is a fully bloomed, seamless piece of Americana art that is sure to see Sara achieve high accolades and national attention this year. Expertly produced in Nashville by Eddie Gore, with a fine cast of over-achieving studio cats, this disc sounds great and plays great. Well-crafted songs, heartfelt singing, great musicianship, and perfect sequencing make this a very strong work; I dare might say an "Instant classic!" The opener, "Magnolia," twangs to life with its unison guitar and dobro licks, loping rhythm section, and very catchy chorus. The second song happens and just keeps happening with "Take What I Can Get," which moderately builds and evolves into a modern country-rock anthem that devastates the memory with its hook. Absolute timeless magic! "Baby Let Me" proceeds to burn the barn down with Kenny Vaughan channeling the ghost of the late Eddie Shaver with some ferocious guitar soloing while a boozed up Sara is busting down the front door with her sultry plea of need. The title cut, "Dog House Rose," is a tender, acoustic, and fitting tribute to Steve Earle, one of Petite's major influences. The only song on this CD that Petite didn't write turns out to be a rockin' cover of Harlan Howard's "He Called Me Baby." A great version! "Bootleggers" is another ultra-tempo burner about moonshine. You'll find yourself singing the fun chorus by the end of the song. Kudos to Sasha Ostrovsky on dobro. "Souvenirs" is a slower, touching acoustic tale of loved one's items and the poignant memories they hold. The forbidden temptation of "Shouldn't Be Doing This" and the perfect title of "Beautiful Thing," with their ethereal eloquence, remind one of a chapter taken from Emmy Lou Harris' Wrecking Ball. Both are superb and you can hear Daniel Lanois' footprints everywhere. Sara Petite has done her lessons thoroughly and wears her heartfelt influences on her sleeve. You'll hear nuances of many of the greats in her work; however, Sara has created her own masterpiece here. The excellence and continuity of Dog House Rose can't be overstated. Congratulations to Sara and the Sugar Daddies. One of the best CDs of the decade! I was watching Celebrity Rehab on VH1 the other day. And I wondered if they could combine a few reality shows. A hybrid of "The Biggest Loser" and Rehab. You see, I'm beginning to think I'm addicted to food. I can't go to a show at the Belly Up without having dinner first at the Wild Note Café. The chicken pasta is filled with so many delicious vegetables. And that bread they give you before hand…fu-get-about it (said in my best Jersey Shore accent). And because my group of friends is always up for a nosh, we were having dinner when Sara Petite hit the stage. I'd seen her a few times, but none of my friends had. We got into the show about half way through her set. I heard Dead Man Walking, which I've heard her perform before. One of my friends leaned in and said "She sounds like a better version of Dolly Parton." The Parton comparison is a good one, though. I think she equals her in songwriting prowess. And that fine songwriting ability was put on display with the wonderful tune "Shouldn't be Doing This." Petite mentioned the song "Magnolia" being off the new CD. It was a nice up-tempo tune that had many in the crowd tappin' their toes. I went to the bar for a Whiskey Sour. One guy appeared to have had too much whiskey, when Sara mentioned her pants being so tight she couldn't get a guitar pick out of them. The guy yelled like he was about to get a lap dance from Shania Twain. Petite introduced another song by telling a story about a young guy that didn't care about reminiscing or hanging onto mementos. It was such a beautiful ballad, you couldn't help but stare at the stage and reminisce yourself. After downing another whiskey, and waiting for my girlfriend to come out of the bathroom, I heard Sara intro the song "Crazy." I thought it was yet another Americana songstress giving us the Patsy Cline classic. A song we've gotten overdosed on from the karaoke in dive bars. But this is a completely different song, and dare I say - better than the tune by Patsy. I'm guessing the chorus of "Let's go Crazy" doesn't make anyone think of Prince, either. Sara Petite is an artist so talented, you just hope she becomes a household name like Prince and Patsy. Hard to believe it's only been three years since Sara Petite released her first album and began taking the local scene by storm. With an energetic stage show built around her twangy-as-a-musical-saw vocals and hard-charging rock-and-country band (and a superb and growing set of original songs), Petite has risen to the top of the short list of the next artist or band from San Diego likely to achieve national stardom. Her third album finds no great artist breakthrough – but given that she arrived on the scene seemingly fully formed with "Tiger Mountain,", looking for dramatic artistic growth album to album doesn't make much sense in Petite's case. What is different is that this album was recorded in Nashville, with an A-list of country studio men backing her instead of her usual San Diego band. Hard to say it's better, given how good her regular lineup is. But given the stellar playing and super-clean production on this new disc, you sure couldn't say it's a step back. It's just different from what her San Diego fans are used to in her live shows and first two discs. Much more polished, for sure. Cleaner production than the surprisingly muddy mix on last year's "Lead the Parade." Petite remains the utterly in control singer she's been since that first release. A less-strong personality, or one with less talent, might have wilted in front of a band composed of folks who've backed everyone from Johnny Cash to Marty Stuart to Dwight Yoakum. Petite, though, sings with the same smiling confidence as she does at her gigs at the tiny Ould Sod Irish bar in Normal Heights, her distinctively nasal vocals as country as country gets, with fine control and a purity of pitch that would leave most classically trained singers deep in envy. Then there are the songs. Her songs, all but one of the 13 found here. Some seem new, others, like "Fade Away," have been in her regular set list for a couple years at least in one form or another. Among the newer titles, the best – like the rocking "Baby Let Me In," the plaintive "We Shouldn't Be Doing This" or the tender "Souvenirs" – remind more than a little of Tom Russell and Guy Clark in their blending of storytelling and song. It's a tremendous collection of strong songs and Petite's remarkable singing, as great a listen as it is testament to her hard work and talent. Review by Jim Trageser. Jim is a writer and editor living in Escondido, Calif., and was a contributor to the "Grove Press Guide to Blues on CD" (1993) and "The Routledge Encyclopedia of the Blues" (2005). “I remember,” Sara Petite is saying, “somebody saying, ‘You really should decide what you want to do: old country, bluegrass, rock ‘n’ roll.’ I’m like, Why do I have to decide? I’m going to write whatever I write. The winner of a San Diego Music Award this year in the Americana or Country category (even the SDMAs can’t decide), Petite is poised to make a big whoop with her brand-new third album, “Doghouse Rose,” which will be available online and at her live appearances. Along with her band, the Sugar Daddies, she’s putting on record-release shows in Nashville and Saturday afternoon at the Belly Up Tavern in Solana Beach. Yet another partner of a legend led Petite, a San Carlos resident, to take the road to Nashville: Melanie Howard, the widow of fabled songwriter Harlan Howard, whose 4,000-plus songs include “I Fall to Pieces” (a hit for Patsy Cline), “Busted” (Ray Charles and Johnny Cash) and “God May Forgive You (But I Won’t),” recorded by both Petite and Rosie Flores (”I love Rosie Flores,” Petite said). “And then I was making a CD for my grandmother, because I’d written all these songs,” continued Petite, who grew up on her mother’s family stories and works her kinfolk into her songs and, as with colorful Uncle Irving, onto her albums (her grandmother died before she could record “Tiger Mountain,” named after Irving’s property). Petite was born and raised in the countryside of Sumner, Washington, later relocating to San Diego. Her rural youth helped shaped her songwriting, which often incorporates accordian, pedal steel guitar, fiddle, banjo, mandolin, and accordion. Her song "Coming Home" won the "Best Song Award" in the Country/Americana category in the 2006 Portland Songwriting Contest. The song turned up on a French Country Music compilation CD (Universal Music of France) and on Petite's 2007 album, The United States of Americana (Shut Eye Records). San Diego musicians Sara Petite will appear along with Hayley Stayner, The Brewer Boys, Brianna Tyson, Caprice Delingher, Crystal Portillo, Skyler Day, Julie Ryan and Jim Heil at Saturday's Country at The Merc's "Singer/Songwriter Night." "You ony live once; you gotta taste the lemons if you want the lemonade." Petite learned how to play the piano at age 5 and continued to play until she was 18. "During college I picked up a guitar, learned some chords, made up some songs, did some coffee shop gigs and open mikes, while shaking the entire time," Petite said. She then graduated from college and got a so-called real job. Petite had nothing to do after work, so she decided to start playing in public more. "I had never played with a band," she said, but she asked "to do a benefit at the bar I work at, and put a band together for five songs. then O was asked to perform there on Friday nights, and so I started a band and the rest is herstory." Petite was inspired by the "absolutely fabulous, wonderful women" in her life, her mom and her dad. "We sang everywhere we went, even if we were off-tune," she said. " I learned all the oldies, '50s, '60s from my mother, also the '70s country. I learnedJohnny Horton tunes like 'Ole Slew Foot,' 'North to Alaske' and 'Honky Tonk Man' from my father." Her great-aunt Isabella, great-aunt Blanche, and Grandma Skelly (Dolly was her name) taught her songs from the Depression era up to about where her mother's education started. "My brother influenced me with all the old Stones, the Beatles, Dylan, the Who, and my big sister taught me about Bruce Springsteen and Quiet Riot," she said. When Petite was 6, she and her twin sister fell in love with Loretta Lynn when they saw "Coal Miner's Daughter." Her mother would get her albums from the library, and when people came over to visit, she and her sister would sing the songs together, standing on top of the coffee table, using a jump rope as a microphone. "She was my idol and still is," Petite said of Lynn. In high school, Petite educated herself musically by going to the library and picking out music she hadn't heard before, which is how she discovered "the greats," such as Emmy Lou Harris, Jimmy Buffet and Lyle Lovett. Of all the country-music genres, Petite prefers "real" country. "These days, a majority of the country on the radio is too Hollywood for me," she said. "I know some people really like it, but it just doesn't speak to me. There still is some really great country music on the radio, though. But I am more of a Steve Earle, Dolly Parton, Loretta Lynn, Merle Haggard, Rodney Crowell." Aside from The Merc, Petite has performed everywhere from the Netherlands to Nashville. "Some of them have built my ego, some have crushed it, but all in all, I earned some money, got to drink for free anhd got to be a musician instead of working in an office," Petite said. "I have (been able) to travel all over and get paid for it; sometimes a little, sometimes a lot. One of the best gigs I ever had was Paradiso in Amsterdam, where I forget to try the Space Cookies." Like many artists, Petite has seen the good and the bad of the music industry. "Some people always like to tell you what you are doing wrong, and talk about everyone that is selling out or has sold out," she said. "I just don't know what that means. It is sometimes hard to take the high road. It would be nicer if I was able to egg people's cars or throw water balloons at them when they have been mean. In the end, hardships and mistakes build characters, and experience. And experience is a good thing to have, even if it hurts. But Petite's goals encompass more than being just a country singer. "My goals are more as an artist," she said. "I don't always consider myslef a country artist. I don't like to be just one thing and my songs range from bluegrass to country to rock 'n' roll, but I know my boice sounds distinctively country. I want to make a living bein an artist, playing original music - music that I consider to be good - with a band that is fun and I consider to be my best friends." Most of this has happened, some of it hs not. "Why not see how far I can go?" she said. "I may get to the moon or I may have to get another boring office job. Which one would you choose?" The material is varied ranging from the mischievous, slightly salacious The Secret and Heaven Bound, to the more up-tempo Little House and Uncle Irving, both dominated by mandolin, fiddle and banjo and tailor made for a Saturday night country hoedown. Train themes, often ignored these days, surface in Buy Me A Ticket and again, loosely, in Coming on Strong. Bruised and broken hearts are not forgotten, with Little Girl offering solace to one suffering from rejection. Dead Man Walking is atmospheric and very different to the other numbers, finding Sara in a more pensive modd, while the closing track, Moonshine, drivingly rhythmic, speaks for itself. Incidentally, there is a thirteenth, unlisted, but not hidden track and this is a reprise of Lead the Parade, done, this time more acoustically and at a slightly slower tempo. Perhaps Sara was undecided as to which version to include and so decided to put both cuts on the album. I enjoyed both renditions, but if I had to make a choice, I would probably have a marginal preference for the second cut. Sara Petite, a singer-songwriter featured in Street back in April, is doing well for herself up north in Portland, Ore.
Petite's song "Coming Home" won the grand prize in the Portland Songwriting Contest. "Coming Home" also was voted the winner in the country or Americana category. Petite is set to perform in Portland at the songwriter's showcase on Sept. 12. "Coming Home" was released on Universal Music of France's "Country" compilation CD last month and will be released at the end of summer on Shut Eye Records' "The United States of Americana" CD. Petite, a San Diego Music Awards nominee this year, is planning a three-week tour of Ireland, and maybe the Netherlands, in October. MySpace Petite here. Breezing into Rebeccas's Coffeehouse for a late morning interview, Sara Petite displays the same vivacious energy that she brings to the stages upon which she performs. She is bright, attractive, and brimming with stories about life, family, and music. Often described as an Americana artist, her sound is an earthy fusion of folk, bluegrass, country, and mountain music with surprising flashes of pop and rock. She steadfastly affirms that "it's all Americana." Her singing voice, which has been likened to that of June Carter and Dolly Parton, is the tie that binds the varied styles she blends. While she has a healthy respect for the classic genres in their purest forms, she confidently asserts that she does what she wants when it comes to making music. Such an approach can be a risky proposition for some, but her CD Tiger Mountain shows that it is the right one for her. "It's been a real learning experience," says Sara about the process of recording Tiger Mountain. As the sole writer of all 11 tracks, she had the artistic vision firmly in place, but the technical side of getting her songs tracked in the studio was an education in itself. Sara and her co-producers opted for a very direct approach to recording. The arrangements are very clean, allowing every vocal and instrumental track a chance to shine. The resulting album is stylistically varied, at times introspective and at others just plain fun. The songs range from the rough-hewn bluegrass of "Huckleberries" and "Standing on the Corner" to the modern alternative pop of "I'm Leaving" and "Old Friend." There are forays into the spaces between genres as well, making for a very satisfying collection of tastefully written and heartfelt songs. Originally from Sumner, Washington, Sara comes from a large family whose members and history inform her lyrical imagery through and through. She speaks with obvious relish when relating stories of such colorful characters as her grandfather, who as a pioneering representative of the aviation industry, sold a plane to Elvis. In this capacity he also spent a good deal of time in the Middle East and once dined with King Fahd of Saudi Arabia. She wrote a song called "I Hope You Still Fly in Your Dreams" after watching his battle with Alzheimer's Disease. The CD's title track, "Tiger Mountain," was written about her beloved grandmother who recently passed away. At first blush it might sound like a short little country/bluegrass ditty, but it's really a mini-epic, condensing years of Petite family history into its short running time. With some wistfulness, Sara expressed a wish that her grandmother could have heard it. When speaking of these two songs, she visibly tried to keep her emotions in check, and it was very touching to witness. That she could readily show such vulnerability to a person whom she had met mere minutes before is a testament to her openness as an artist. Then there is her Uncle Irving, the namesake of a song that will be included in a future release. It was he who purchased the Tiger Mountain property in Washington, which became the family's emotional home base. A lifelong animal lover, Uncle Irving has cared for numerous pets throughout his life, including chickens, a dog, a goat, and even an abandoned bear cub. Sara very proudly points out his authorship of several nature books that have appeared on the New York Times bestseller lists. She happily reports that the song "Uncle Irving" is a consistent favorite with audiences when she and her band play it live. Among her earliest musical experiences were piano lessons. Like most kids, she dutifully took them without truly appreciating their full value until much later. Nowadays she concentrates on singing and playing the guitar, but is well aware that learning the piano was key in giving her a solid foundation upon which to build her own music. Growing up, she was exposed to classical, bluegrass, country, R&B, and rock ‘n' roll. A cross section of her favorite artists includes the likes of Dolly Parton, Loretta Lynn, June Carter, Johnny Cash, Bob Dylan, the Who, the Rolling Stones, Tom Petty, John Mellencamp, and Hank Williams. The diversity of her listening habits is what fuels the wide range of genres she works in to this day. It wasn't until her early 20s that she wrote her first song. As the story goes, she picked up her brother's guitar after a hard day at work and improvised some lyrics about her boss. When I reminded her of this, she flashed a knowing smile then related an early experience of singing in front of others. Because she was so heavily influenced by her favorites, her singing voice was thick with a country inflection even though her speaking voice is entirely bereft of it. When performing during her school years, her audience of classmates found this to be extremely funny. That she was completely unaware of this disparity made them laugh even harder. Despite such a humble beginning, she had already caught the performing bug and started down that path, which led her to pursue her musical dreams. Yet in her words, "Even I'm surprised that I ended up doing this!" Sara earned a degree in political science and international relations and held down a "real job" for some time. Through it all, she wrote songs and performed at local open mics. Good fortune led her to the Ould Sod, a local Irish pub where she got involved in a benefit concert for Amnesty International. Finding herself on the bill as a performer, she got a band together and has been playing shows ever since. Her early stage persona was described as rather shy, but experience soon taught her to be comfortable as the focus of an audience's attention. Such is her confidence now that she can handle the occasional drunks, hecklers, and generally unruly patrons with a firm but tactful hand. A favored technique is to make a game of it by throwing it back at them, but with a twinkle in her eye. Locally she has played such popular San Diego venues as Lestat's, Tio Leo's, the Belly Up Tavern, the Whistle Stop, and the Ould Sod. Her travels throughout the country have included appearances in Mississippi, Tennessee, and of course the state of Washington, where she enjoys a hometown following. Most impressively, she has experienced some success abroad, having completed two tours of Ireland and the Netherlands. After selling CDs at one Irish gig, she fondly recollects how she returned some three weeks later to find the audience singing her own lyrics back to her. Sara's positive press comes from places as far as Belgium, yet one doesn't have to go so far afield to find her accolades. Two of her songs, "Coming Home" and "Shine Some Heaven" made it to the semi-finals of the 2005 International Songwriting Competition in Nashville, a feat that is made considerably more impressive when one considers the 15,000 other entries she was up against. Other songwriting competitions where she made a strong showing were the Great American Songwriting Competition, the Great Waters Folk Festival, and the 2006 Portland Songwriting Contest. Currently she is a nominee for Best Americana Artist in this year's San Diego Music Awards. Her frequent companions onstage are not just one, but actually two different bands: The Tiger Mountain Boys and The Sugar Daddies. Which band she chooses depends on the kind of show she wants to stage. The Tiger Mountain Boys are a rustic bluegrass ensemble, and when Sara plays with them, they put on a variety show, complete with appropriate attire. Quite obviously, they take their name from the Petite family's Washington state homestead, and their stage personae are inspired by the residents of Tiger Mountain. Dave ‘Banjoski' Bandrowski hails from New Orleans and is also a member of the Monroe Avenue String Band. Johnny Kuhlken plays a variety of instruments including the washboard, jugs, spoons, and snare. He is a member of the Nards, the Macanany's, and the Slidewinders. Upright bassist Wade Maurer is a full time Tiger Mountain Boy and was also a member of the Macanany's. Maurer and Kuhlken are also members of the Sugar Daddies, a band whose name is a send up of their average ages (they're reportedly 40-somethings). Joining them in this lineup is lead guitarist Rick Wilkins who also contributes mandolin, banjo, harmonica, and backing vocals. According to Sara, the Sugar Daddies' sound is like "a twisted road where Dolly Parton meets Tom Petty, and Loretta Lynn meets Dylan and Springsteen. Honky tonk Americana". Whether performing with one of these bands or accompanying herself on guitar, Sara creates an instant rapport with her audience. At a recent appearance at Solana Beach's Belly Up Tavern she immediately charmed the crowd with her friendly, affable manner and humorous anecdotes. Though originally booked as a band, she unexpectedly found herself taking the stage alone. As the opener for Lance Miller, she had less than an hour onstage so she made every minute count, treating the audience to choice cuts from Tiger Mountain as well as a healthy dose of new material. Saving most of her stage time for the songs, she gave just enough background for each to make them meaningful. Wisely, she avoided the pitfall of becoming overly chatty. I noted with some amusement that her banter took on more of a Southern drawl as her show progressed. A high point of the performance was her acoustic arrangement of "Coming Home," which displayed a gentler and lonelier tone than the recorded version. She interrupted herself during the upbeat "Uncle Irving" to ask the crowd to punctuate the next few verses with animal sounds, which they did to great effect. "Little House" is a another fun, uptempo tune that was inspired by her stay in a cramped Paris apartment. She ended the set with her poignant ode to her grandfather. After a brief introduction, she launched into a very emotional rendition of "I Hope You Fly in Your Dreams," which clearly affected many listeners. A true artist, Sara skillfully orchestrated the mood of her performance, punctuating it with humor, energy, and genuine emotion. Having once said that music is "the hardest job I've ever had," Sara has very definite ideas about what she hopes to accomplish. Like her idols Lucinda Williams and Patty Griffin, she aspires to build a devoted following on the strength of her artistry. To her, being able to make a living from music with the freedom to write and record songs her way is infinitely more desirable than the kind of world-dominating superstardom enjoyed by the slickly packaged acts that are currently burning up the charts. While she derives much inspiration from personal experience and family, she is not averse to lending her voice to causes she believes in. Her recent involvement in a benefit concert came about after the tragic loss of a friend to domestic violence. She was instrumental in organizing the show in support of Becky's House, a YWCA-run safe haven for victims. By all accounts it was a resounding success, garnering support from the Ould Sod management, her fellow artists and the community at large. She invited a veritable Who's Who of local talent to perform. In addition to Sara and the Sugar Daddies, such local luminaries as Cindy Lee Berryhill, Annie Dru, Evan Bethany, Molly Jensen, Joanie Mendenhall, and Regina Dawn stepped up to do their part for the cause. More global issues take center stage in a couple of Sara's songs that are yet to be released. "Dead Man Walking" examines the death penalty, and she gives her take on the current political scene in "You Ain't a Thing Like Me." From this it's apparent that her music's subject matter is evolving along with her sound. Like any artist who takes her craft seriously, this is something that is inevitable. Yet it is the more personal songs that seem to resonate the most with listeners, lending weight to the impression that home and family are the things closest to her heart As extensively as her travels have been, Sara Petite can make a home and surround herself with family wherever she finds herself. While she acknowledges having two sides to her music ---- a rock 'n' roll side that she expresses through her band the Sugar Daddies, and a country side that gets aired in her Tiger Mountain Boys band ---- San Diego's Sara Petite will be showing a third side tonight when she opens for Todd Snider at the Belly Up Tavern: solo singer-songwriter. While she admits to being a bit nervous about appearing without either of her bands, she's much more excited about opening for one of her favorite artists of all time. It is Snider's intelligent lyrics that Petite says she loves so much. "Most country music doesn't make you think," she said during a recent interview in Encinitas. "The average person doesn't want to have to do anything that makes them think." Snider, she says, makes you think. It's an attribute she aims for in her own music. She began writing her own songs while in her early 20s; she came home after a lousy day at work and picked up her brother's guitar and vented her feelings about her supervisor with some lyrics she improvised on the spot. "And then I had my own song." she laughed in reminiscence. Thirteen years of piano lessons starting at age 5, and another 13 years of competitive artistic roller skating had given Petite a pretty broad background in music. "I got a big exposure to classical music through piano, and other stuff through skating," she said of growing up in a small town southeast of Seattle. An older brother who was into classic rock ---- she cites The Who and the Rolling Stones as early influences ---- and a mom who liked R&B and classic country also helped broaden her musical interests. Perhaps it's all these disparate influences that have given her her split musical personality. "I can't just choose one thing," she said. "I've always been divided." But if divided in her musical taste, her focus in building her music career has been laserlike in its singular intensity since forming her first band two years ago. After moving to San Diego, she attended United States International University (now Alliant University), earning a degree in international relations. While there, she continued to write ---- and it wasn't long before she was performing at open mics around town. Then, two years ago, she was asked to help organize a benefit show for Amnesty International at the Ould Sod in San Diego, an Irish pub where she tends bar one night a week. In the midst of preparations, one of the bar's owners made it clear that he expected Petite to be one of the performers. With all the other acts being full bands, Petite said she didn't want to do a solo set ---- and so put together her first band. Since then, she's played dozens of shows, toured Ireland twice, recorded her first CD, and built up a nice following in the area via a regular monthly gig at the Ould Sod. While it's paying dividends in terms of a larger following and greater local awareness of her music, Petite says that she's not making much money with the music to date ---- everything is being built for the future. "It's the hardest job I've ever had." It's Ladies Night on The Americana Highway and we'll take our hats off to some of the best female singers and songwriters in Bluegrass, Americana and Country music. This week we turn our Highway headlamps onto some of your favorite ladies including: Rhonda Vincent, Kasey Chambers, Julie Roberts, Lee Ann Womack, Michelle Nixon, Joan Osbourne, The Wreckers, Tresa Jordan, Amy LaVere, Sunny Sweeney and Mindy Smith. You'll also hear a song from Amy Speace who you'll have a chance to see live on Saturday, December 9th at Brackin's Blues Club in Maryville, Tennessee at 9pm. If you've not see a live performance from Amy Speace & The Tearjerks...then don't miss this one! She plays all of her great songs, a few clever covers, plus you might even get to "sneak preview" of few of the songs from her new cd which is due out in 2007. For more information go to www.amyspeace.com or for directions to Brackin's go to www.brackinsbar.com. You may wonder how it is possible that a neighborhood bar in Normal Heights would end up doing a musical review as a fundraiser for a battered women's shelter. But then you don't know Sara Petite. At the Becky's House event at the Ould Sod Irish Pub, on Sunday, October 22nd, her name was on everyone's lips. She was everywhere behind the scenes as well as on stage, making sure that artists got announced, raffle tickets got picked, the schedule respected, CD's sold, not to mention energizing the room with her own strong vocals during the set that she performed that night. She coordinated six hours of music by a dozen singer-songwriters, as well as donations for raffles and a team of volunteers to help. Her passion and compassion shone through in her music and in her dedication to making a difference. But, she'd not want to be the subject of this article, since her intent was to showcase and benefit others. If you are interested in more about her, check out www.sarapetite.com or you can hear her play on the first Friday of the month at the Ould Sod at 3373 Adams Avenue. Petite would rather that the focus be on the work being done by the YWCA to offer safe haven to victims of domestic violence through their shelter Becky's House. The growing need in San Diego has outstripped YWCA's current capacity and a second facility, Becky's House 2, is planned for opening in October of 2007. The new building will provide a thirty-day safe haven for up to fourteen women and their children, offering them legal assistance, job skills training, onsite schooling and counseling. YWCA has raised about 75% of the funds necessary. More information is at www.ywcasandiego.org. Petite's event at the Ould Sod is part of the effort to fill that gap, and was her first experience at organizing a fundraiser. If you ask her about her connection with Becky's House, she will tell you that a losing a close friend, to a domestic violence murder, motivated her to use of her music as a force for positive change. Working at the Ould Sod she was able to take advantage of their policy of lending the venue once a month for community fundraisers. And being a musician, she was able to connect with other powerful women in the local music scene to join her in singing out the message. The musicians, like members of an extended family, rallied around to cheer, tease and encourage each other, staying well beyond the time for their own sets. And it was a veritable gourmet buffet of performers that Petite incited to be there. Any one of them would be worth a special effort to hear; having them all in one place had the impact of an ever-increasing energy and excitement. Annie Dru delivered songs of regret and love gone bad, making use of well placed discord to convey the emotions, along with rock rhythms that brought people to their feet. Regina Dawn, an Amazon in both presence and voice, with an uninhibited style reminisiscent of Janis Joplin, sang songs about poverty and . Evan Bethany and Molly Jensen took turns backing each other on guitar for their vocals, with haunting harmonies in pure folk tradition with strong storylines and then finished up with a sing-a-long " You are my Sunshine" punctuated by comical vocal imitations of back-up instrumentals. Joanie Mendenhall's group was a string section, with fiddle, bass and guitar, that covered a range of ballad, Doo-Wop, and traditional folk. Cindy Lee Berryhill brought in poilitical satire and protest with her "When Did Jesus Become a Republican" that was so well received at the Democracy Fest a few months ago. The mood changed to classic rock with Saba backed by a full band and percussion. That theme was continued by Sara Petite and the Sugar Daddies, with Sara's voice coming strong and clear above the dance rhythms and drums, making it evident that she is the spark plug that ignites action all around her, no matter what she takes on. You can find connections to Becky's House to give a donation or to her guest artists on her site. www.sarapetite.com. It promises to be a beautiful day of music: a baker's dozen of the top local female musicians performing during the course of six hours on a Sunday afternoon at a friendly Irish pub. But the cause the show benefits, as well as the motivation for its existence, couldn't be more tragic. "One of my friends died of domestic abuse a couple of years ago," San Diego singer-songwriter Sara Petite said of her motivation in setting up Sunday's benefit for Becky's House at the Ould Sod in San Diego's Normal Heights neighborhood. Petite said her friend was leaving an abusive situation with her children, but came back to her home to pick up a few personal items and was shot to death by her husband, who then turned the gun on himself. A shelter run by the local YWCA, Becky's House provides a safe place for women and children who are in danger from an abusive family member. Due to the number of women seeking shelter, the YWCA is raising money to build a second shelter. Of the 13 musicians and bands donating their talent and time to the cause, there are several from North County: Cindy Lee Berryhill resides in Encinitas, Steph Johnson is from Poway, and Regina Dawn is newly relocated to San Marcos. Also on the bill are Petite, Chelsea Flor, Molly Meekin, Annie Dru, Evan Bethany, Molly Jenson, Joanie Mendenhall, Dee Ray, Saba and Arabella Harrison. The show begins at 3 p.m. and runs until 9; each artist will perform a 30-minute set. The $10 per person cover charge is being donated to Becky's House, and there will also be a raffle and auction to raise money. In addition, Petite and several other performers will donate all proceeds from the sale of their own CDs at the show to Becky's House. Petite said the Ould Sod has a legal capacity of only 99, so she suggested getting there early. The Ould Sod is at 3373 Adams Ave. in San Diego. Visit sarapetite.com. George says: There are few better combinations than good music in support of a good cause. You'll get both Sunday at the Ould Sod in Normal Heights, where at least 12 notable area singer-songwriters and one band will perform a six-hour benefit concert. Proceeds go to the non-profit Becky's House, which provides a wealth of services for San Diego women in need. The lineup for this 3-6 p.m. gig includes Cindy Lee Berryhill, Joannie Mendenhall, Sara Petite, Steph Johnson, Arabella Harrison, the lone-named Saba, Regina Dawn, Evan Nethany, Annie Dru, Dee Ray, Molly Meekin, Chelsea Flor and Molly Jenson. For $10, it's the best deal of the week by far. So begins Sara Petite’s debut album on Manatease Records. Her life appears to be chronicled in song from beginning to end on this record titled Tiger Mountain. Sara is a budding San Diego singer/songwriter who has a knack for writing good, honest songs reminiscent of Loretta Lynn and Dolly Parton. The music is a mesh of bluegrass, folk and country. Her voice is simple and unassuming. This is Americana. I like this record for a variety of reasons, the strong point being the songwriting. The lyrics are heartfelt and Sara’s not afraid to give everyone a pass into her personal life. The production is bare bones and uncluttered, just as I like it. Sara’s co-producers, John Kuhlken and Jeff Forrest, did a great job to capture her simplistic style. From the onset listeners are transformed to the front porch of a mountain shack in the Appalachian Mountains. Sara’s voice is fragile and unpolished, which I find lends itself to the honesty of the songs. Sara’s songs are being well received in the songwriting world. Out of fifteen thousand song entries, hers made it to the semi-finals in the 2005 International Songwriting Competition in Nashville, Tennessee. 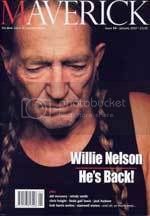 Her song, Coming Home, also garnered honorable mention in American Songwriters Magazine. The opening track of Tiger Mountain, the aforementioned Coming Home, is a song about leaving home, finding it’s a tough road to travel and missing home, a staple of story lines. Its rolling, up-tempo beat and tasteful B-string bender guitar work by L.A. guitar slinger, Jesse Harris, make this song a good choice to begin the record with. Sara’s quick to change moods though. The next track, I’m Leaving, is a mournful tune finding her at the end of a relationship and in a darker frame of mind. My favorite track might be Ruby. I find myself going back to this song more often than the others for some reason. Maybe it’s the haunting melody or the repeated reference to “my home town” that conjures up a certain longing in my mind. Other standouts on this record are Old Friend, Look What You’re Doing, and Gypsy Friend. Every song has meat though, and if you ask ten people what their favorite track is it’s conceivable you’d get ten different answers. I’ve seen Sara perform, albeit briefly, twice this past year. The first time, I seem to recall her having a somewhat shy stage persona. I expected the same when she recently sat in with my band at the desert fortress of Pappy & Harriet’s Pioneertown Palace near Joshua Tree. Much to my surprise she now possesses a confident swagger about her. What she’ll be like a year from now should be very interesting. You can catch Sara playing around town and hear her perform these songs live. At her recent CD release party at the Ould Sod in Normal Heights, she performed the songs from the album and sold 140 copies of the CD. Quite impressive, you think? Tiger Mountain is a rewarding effort for all involved. Sara wrote all eleven tracks and each one is deserving of a listen many times over. For more info on Sara Petite, visit her website at sarapetite.com. Support this artist as well as every other talented artist this town has spawned. Forrest Gump was right. Life is like a box of chocolates. You never know what you're going to get. CDs can be the same way. That turned out to be especially true of my recent experience with Sara Petite's new album, Tiger Mountain. I had never heard or even heard of Sara Petite prior to accepting this assignment, so it was with great anticipation that I tore into her new CD's plastic wrapping. I was immediately taken by her unique vocal style. Something about it reminded me of Lucinda Williams. Not that Petite necessarily sounds a lot like her, but her vocals have a similar originality. I found it somewhat of an acquired taste. The more I listened, the more I liked it. According to her long-time friend and Tiger Mountain contributor Shawn P Rohlf, Petite has been playing locally over the last several years under the name Honky Tonk Girl. Her new band, the Sugar Daddies, formed about a year ago. Together, they may be going places. In a more literal sense, Petite already is. At this writing she is on a bried tour in Ireland where she will play a half dozen dates in various clubs and pubs across the Emerald Isle. Her life as an artist began avout seven years ago while she was still in college. Trained as a child on a piano, Petite picked up the guitar while in school and soon realized that she had knack for writing songs. She has been honing those skills ever since. Tiger Mountain, which began to take shape last August, is her debut album and one that her grandma, to whom three of the songs are dedicated, would be very proud of. "A few songs are about home and my grandma. Those [bluegrass] songs are the ones that sort of tie it together. I didn't want it to be [entirely] bluegrass, but there are some bluegrass songs on it," Petite explained between sets before a capacity crowd at Adams' Avenue's Ould Sod. Petite received a major boost to her carer a while back when two of her songs were honored at the prestigious Nashville International Songwriting Competition. "Coming Home" and "Shine Some Heaven," both of which are included on Tiger Mountain, went on to the semifinals in Nashville, rising to the top from a sea of 15,000 entries. "Gypsy," another cut from Tiger Mountain, made it to the third round. The three songs for the nucleus of what is a very solid debut album, on which Petite demonstrates her versatility. "Some songs are bluegrassy, others are folky. "Coming Home" is definitely country sounding and some of the others are more like folk-rock. "Old Friend" is rocked-up a bit, so there is a lot of variety. I've received really good feedback on it and different people are picking out different songs that they like." What they all have in common is Petite's considerable gift for songwriting. "Her style of music is very homegrown and organic with honest tunes," Rohlf said. "She has good taste in music and she has her own style. Sara has a really unique voice and she executes her songs very well," he added. Rohlf also talked about Petite's "infectious personality" and her ability to brighten up a room and bring joy to the people around her. Those same characteristics are heard in her music. Petite's primary goal in recording Tiger Mountain was to make an album that she could truly call her own. She therefore rejected the idea of adding a few covers or collaborating with a co-writer or two. All 11 songs on this album are entirely hers. With a monster band of local veterans playing behind her, her sound is distilled and refined like a smooth whiskey. "I'm pretty independent and a bit of a maverick and I also paid for everything, so I got to do everything my way. I'm not trying to be like anybody else; I just wanted everything to be original and me." Find out more about Sara Petite at: www.sarapetite.com. she will perform on June 4 at Acoustic Alliance and later this summer at Lestat's and the Whistle Stop. Americana- Sounds like a modern day June Carter, songs about the road, heart break and home. Ranges from mountain bluegrass to roots rock, classic music. Nu iedereen er lovend over doet, mogen wij ons wel even laten gaan. Sara Petite, een knappe jongedame uit Sumner, Washington, verrast ons met het fraaie debuut "Tiger Mountain" waarop we een zangeres horen die op geheel eigen wijze invloeden uit folk, country en bluegrass vermengt in prachtliedjes. Deze invloeden zijn voornamelijk Dolly Parton, Loretta Lynn, Merle Haggard, Bob Dylan, Hank Williams, John Mellencamp, Shelby Lynne, Lucinda Williams, Tom Petty, Lyle Lovett, Gillian Welch, Matraca Berg, Patti Griffin en John Prine. Van dat soort muziek kunnen we niet genoeg krijgen, dit debuut wordt daarom ook door ons met open armen ontvangen. Sara Petite doet meer met country. In wezen beproeft ze tamelijk traditioneel het singer-songwritergenre, maar daar voegt ze allerlei elementen aan toe waardoor haar elf zelfgepende liedjes iets eigens meekrijgen. En wat een begeleiding! Met o.a. Co-Producers John Kuhlken (drums,percussie) en Jeff Forrest (accordeon), maar ook horen we special gast Jesse Harris (gitaren). Een debuut met ijzersterke liedjes laat vooral een traditioneel country-bluegrassgeluid horen, en hier en daar komt wat folk om de hoek piepen. "Tiger Mountain" bestaat uit geweldige singer-songwriter liedjes zoals de opener "Coming Home", "Look What You’re Doing" en Gypsy Friend", juist drie tracks waar Jesse Harris het gitaarwerk voor zijn rekening neemt. Alle songs gaan over het verleden, de liefde en haar reizen die ze maakte doorheen de States, Canada, Mexico en Europa. Allemaal liedjes die haar afkomst verraden, maar die tegelijkertijd opvallen door eigenzinnigheid. Wat nog het meest opvalt aan de muziek van Sara Petite is de intensiteit er van. Petite doordrenkt haar muziek met passie en emotie en weet ons in ieder geval zeer te raken met dit geweldige debuut. Grote kans dat deze cd ook jou niet onberoerd laat. Vergelijken met anderen is zinloos want Sara Petite heeft een opvallend eigen geluid. Een geluid dat wat ons betreft heel veel toekomst heeft. Wat er ook gaat gebeuren, dit prachtdebuut "Tiger Mountain" neemt niemand ons meer. With a voice nearly as nasal as that of cult country fave Iris DeMent, the singing of San Diego's Sara Petite can take a bit of getting used to. Give it a chance, though, and you run serious risk of getting hooked. On her new CD, Petite displays a confident delivery and down-to-earth charm that, coupled to 11 nicely crafted tunes, create as original a brand of country-friendly folk rock as this county has heard since Eve Selis first arrived on the scene. The arrangements incorporate banjo and fiddle as well as guitar ---- and on some cuts, the result is deep country ("Coming Home," "Tiger Mountain"). But elsewhere, she drifts more into a rock format. And "Ruby" is folk. And yet, despite this stylistic range, "Tiger Mountain" is a cohesive album ---- due to the fact that every song is clearly, purely Sara Petite. Als je haar enkel op haar looks zou beoordelen dan zou deze jonge chanteuse uit bloemenstadje Sumner, Washington als snel in de buurt van een maximumscore uitkomen, maar tot nader order draait het ‘m hier natuurlijk nog altijd gewoon louter om de muziek. En die mag dan al behoorlijk goed zijn, zo’n topscore zit er op dit vlak vooralsnog zeker niet in. Sara Petite vindt voor haar liedjes inspiratie in herinneringen aan haar thuishaven en in de vele reizen die ze maakte doorheen de States, Canada, Mexico en zowat heel Europa. Als een soort van jongere uitvoering van Dolly Parton verpakt ze die in songs waarin het gebruik van elementen uit traditionele country, bluegrass en rock uitmondt in aanstekelijke Americana. Als haar voornaamste troeven gelden daarbij haar enigszins aparte, op jeugdig élan drijvende stem en haar vermogen om een meteen goed in het gehoor liggende song te schrijven. Wij durven dan ook zonder schroom te stellen, dat deze werkelijk oogstrelende beauty mits een wat ruimer opnamebudget en een aan haar talenten beantwoordende productie bij een volgende gelegenheid nog een mooie toekomst wacht. If you would judge her only by her looks, then this young singer from flowervillage Summer, Washington, would end up fast with a maximum score, but of course we are only here to talk about the music. And although it is good, we can't give it a top score yet. Sara Petite finds inspiration for her songs out of memories of her hometown and of the many travels she did through the States, Canada, Mexico and most of Europe. Like some sort of a younger version of Dolly Parton she puts them (the memories) in songs in which the use of elements from traditional country, bluegrass and rock find its way in a contagious (or catching?) Americana. Her most important trumps are her somehow distinct, young sounding voice and her ability to immeadiately write a song that is nice to listen to. Without hesitation we dare to say that this really eyecatching beauty, in case she gets a better budget to record and a producer matching her talents, is facing a bright future at the next occasion. “Human rights have been put on the back burner worldwide, and we need to help shine a light on this,” said Ould Sod bartender Martin Brennan. The Sod is a Normal Heights Irish pub that’s long been home to community affairs that go beyond “one more Guinness, please.” And though Ireland may not be No. 1 on the list to receive international relief funds, the bar holds its 9th annual Amnesty International benefit this week. This year boasts a pretty impressive list of local talent, including Greg Laswell, Sara Petite, Gregory Page, Berkley Hart and Saba. Music starts at a time that’s appropriate for first-round in some countries—3 p.m. The early start is a response to the event’s growing crowd; last year, patrons had to be turned away. Vicksburg native Seth Libbey and his band will return to Oxford this Thursday for the first time since last spring. Last time through The Liberals enlisted former Kudzu Kings and Cross-Eyed Cat guitarist Daniel Karlish. This time around Libbey has recruited Eric Carlton to sit in on organ and keys. “I’ve been spending most of my time working for FEMA since September, so the band hasn’t been able to get together much over the past few months.” Libbey said. I did some acoustic shows with Adam Hood back in October down in Auburn and Tuscaloosa. I’m excited about getting to play with Eric Carlton, because with him, we can do some songs that the band wouldn’t normally get to play and some new stuff that I’ve played at the solo gigs, but we haven’t played together yet. The Liberals lineup this Thursday will feature another special guest – Sara Petite from San Diego on guitar and vocals, along with guitarist Stan Black, bassist Nathan Robbins (Rocket 88), drummer Bradley Gordon (Rocket 88, Pithecanfunkus Erectus, new Madrid Click, Jeff Johnson Band, etc. ), Libbey and Carlton. Libbey, who also works as a land surveyor and handles the booking for The Loft in Vicksburg, plays mostly in and around Mississippi in towns such as Vicksburg, Starkville, Meridian, Natchez and throughout the Delta. He will go back out on the road with Adam Hood sometime this spring to play some more shows in Alabama and some in Georgia. Catch Seth Libbey& The Liberals with special guest Eric Carlton Thursday night at Two Sticks. Show starts at 10 p.m. and cover is $5.